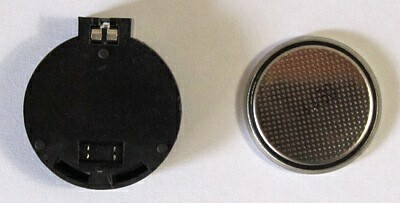 A coin battery or button cell is a small coin/button shaped battery. 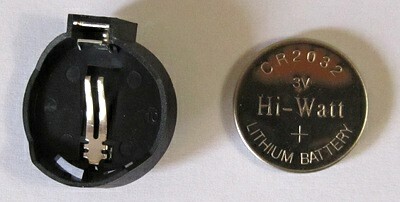 The photos below show an example of a CR2032 3V coin battery and battery holder. These batteries are very often used to keep a real time clock (RTC) running when the main power to a circuit is switched off.